This sympathy standing easel is hand arranged by a local florist with stunning red flowers. Standing sprays are a wonderful way to let someone know you are thinking of them during this difficult time. 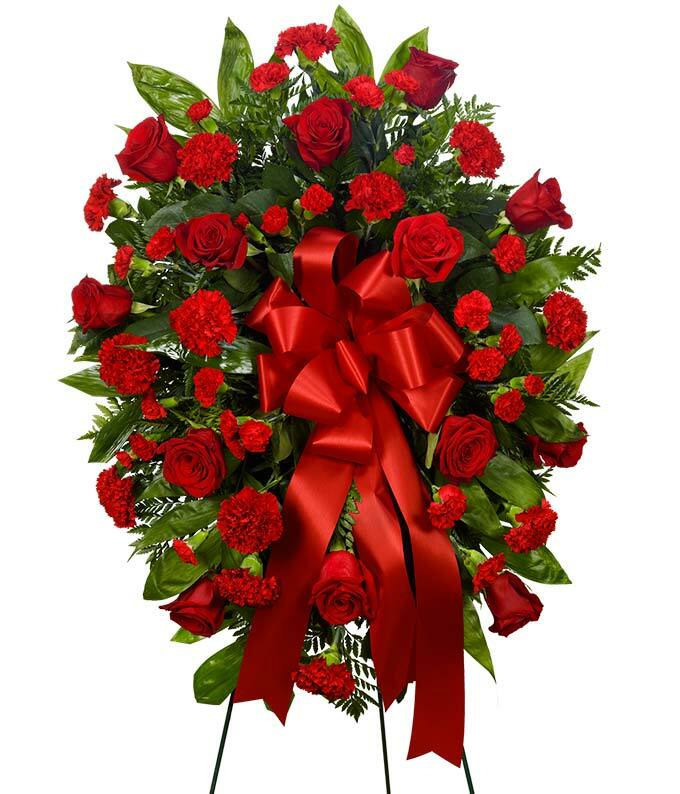 Created with red roses, carnations and a decorative ribbon. Measures 21"H by 32"L.